With a clean modern look, the DS3P features an athletic split 5-spoke design with a combination of hidden and exposed stainless steel ARP assembly hardware. 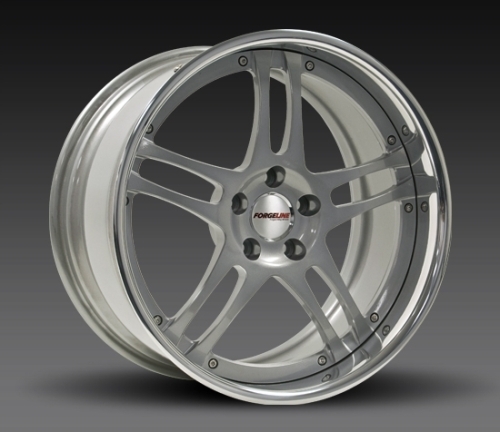 Like all Forgeline wheels, they are made of 6061-T6 forged aluminium and are available with a wide variety of finish options, including black, polished, silver, gunmetal grey, matte black, and all of our other popular finishes. They are available in 18-inch, 19-inch, 20-inch, and 22-inch sizes. And like most Forgeline wheels, custom backspacing options make them compatible with most of the popular big brake kits on the market. The DS3P was originally designed as a flat-lip (non-stepped) design, but it can also be built as a stepped-lip wheel and with virtually any bolt pattern. 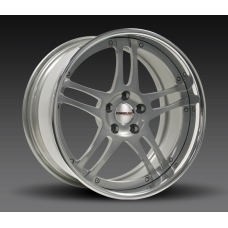 Please visit Forgeline for further pricing details.